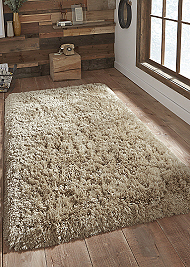 What kinds of shaggy rugs are available? 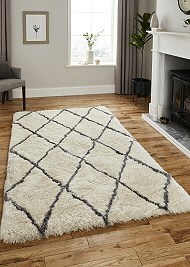 First consider the design, colour and size of rug that is best suited to your room. 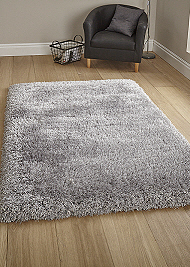 Do you want a plain or a patterned shaggy rug? 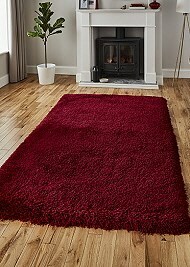 Does a round shaggy rug best suit your furniture layout? 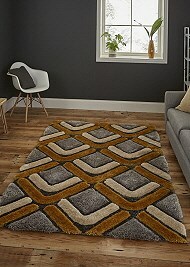 Do bear in mind, the choice in a circle can be more limited than a rectangle shape. 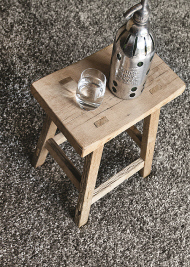 Use our filter on the left hand side to help guide you through the choices available. 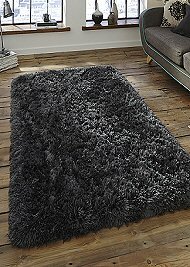 Where can I use a shag pile rug? 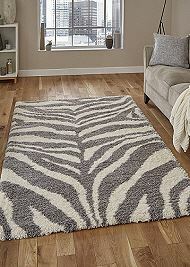 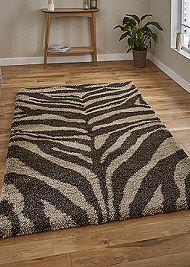 Shaggy area rugs are suitable for all rooms in the home and are most popular in living rooms, bedrooms and dining rooms. 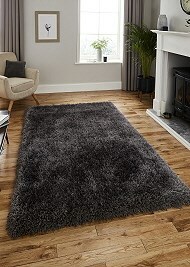 Dining tables, coffee tables, sofas and armchairs will all sit well on top of a large shaggy rug. 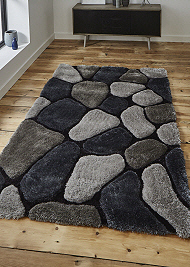 Shaggy hall runners will give welcoming warmth to the entrance of your home as well as give protection to wooden floors and the spread of dirt throughout. 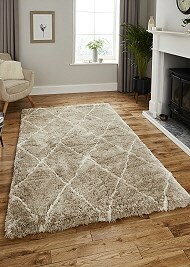 Heatset polypropylene rugs make great mats for the kitchen and bathroom as they are very robust and durable, whereas a fluffy rug, with a thicker, softer and longer pile is better suited to the bedroom or living room .A soft thick rug, in a child's bedroom adds cosy comfort for sitting on as well as having the added benefit of reducing noise levels. 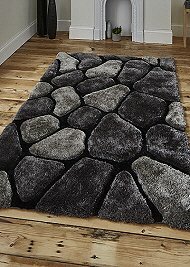 The pile height and thickness can vary too from midi to extra-long, so consider such things as, door opening/closing clearance. 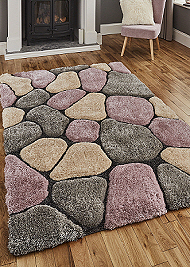 The materials used in creating shaggies are varied and the effect that a particular material creates is worth considering when planning your room. 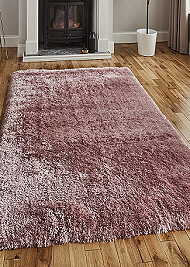 There are plenty of options and materials vary from fine silky fibres, with two tone, light reflecting effects and these are often created from the synthetic materials, viscose and polyester yarns. 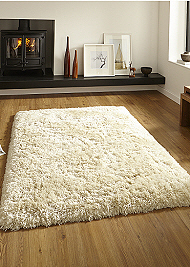 For warmer, softer finishes with a mat finish then acrylic, wool and felted wool are perfect. 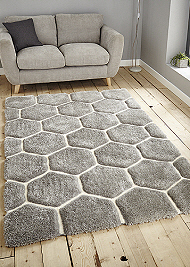 Heatset polypropylene is hard wearing and ideally suited to those heavy traffic areas of the home, these can give either a shine or a mat finish. 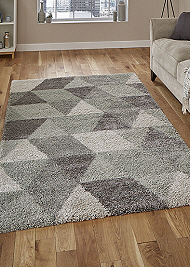 It is worth noting here, that the finer, silkier rugs can shed a little to begin with, when your rug is new and this will settle down in time. 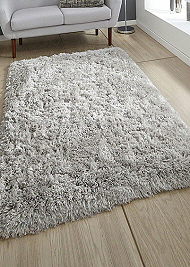 Thick wool rugs will also shed fluff to begin with too. 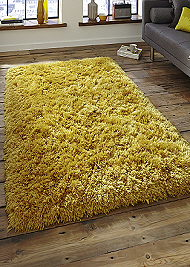 Why buy a shaggy rug? 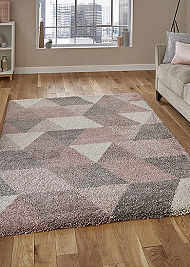 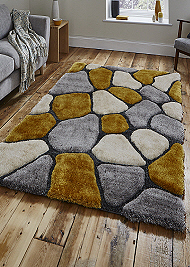 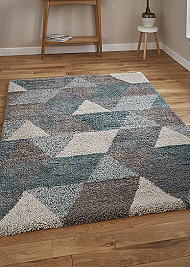 No other rugs offer this much soft comfort underfoot and adding them to a room in your home can create a cosy ambience and a luxurious and welcoming appeal. 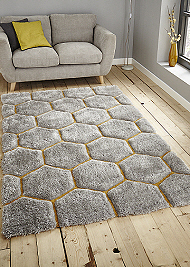 They eliminate the discomfort of cold and bare wooden floors or floor tiles, especially in winter and they are perfect for creating a sense of warmth, both metaphorically (they feel great) and practically (as they are wonderful insulators).